The Accademia Gallery (Galleria dell'Accademia) in Florence Italy (Firenze) contains many famous statues by Michelangelo, including the most famous one of all: the Statue of David. The Gallery of Fine Arts was originally established here in 1563 and was the world's first art school. 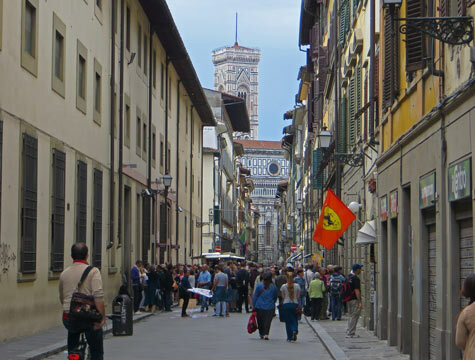 It can be found in the San Marco district of Florence.